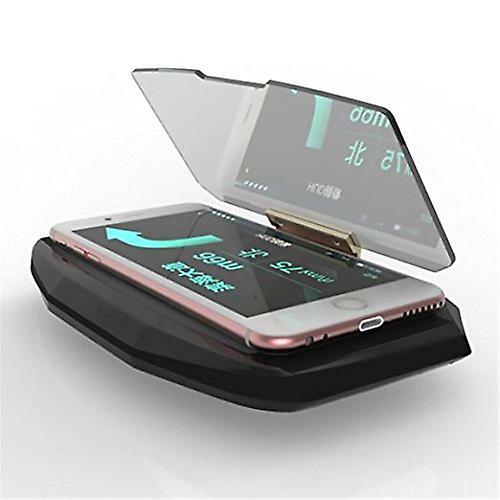 HUD, namely head up display, is a method to display GPS navigation image on a reflector in front of your head so that you can see it without lowering head while driving. 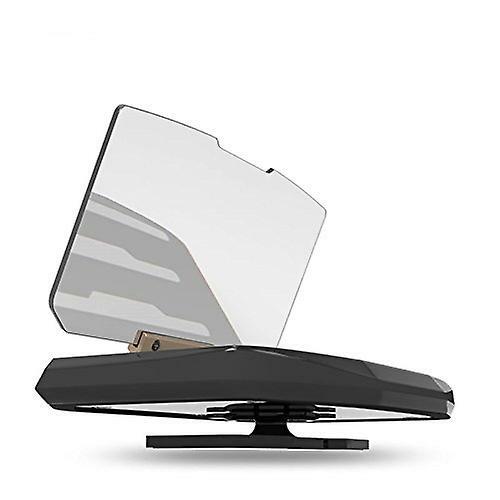 HUD mobile navigation bracket exploits the hardened organic glass to prevent scratch and project navigation information onto the panel based on optical reflection theorem. When placed on the centre console, drivers don't need to bow to see because it will not block sight. Thus drivers could pay more attention to the road conditions nearby. 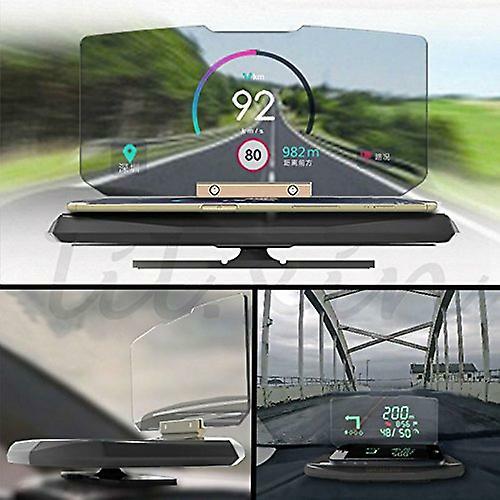 In the meanwhile, the design avoids the drivers observing the distant road conditions, which makes the navigation information more visualised and thereby improves the driving safety.